Hard Knuckle self defense gloves massively improve every punch while protecting your knuckles from impact! Anyone who's punched someone or something knows that it's your own fist that feels the brunt of the impact. And sometimes it hurts! Hard Knuckle self defense gloves massively improve every punch while protecting your knuckles from impact! These are used by police, military, other law enforcement, and even regular people wanting extra protection for their hands. 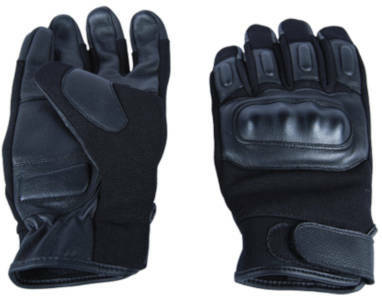 The goat skin leather makes these gloves smooth inside and very comfortable to wear for long periods of time.